In Q2 2018, for the first time since it became the leading smartphone vendor in the world, Samsung got a negative year-on-year change in the number of handsets it was able to ship globally. According to IDC, the respected research agency which disclosed this fact through its Worldwide Smartphone Tracker study, Samsung claims this notable slowdown is due to intensified competition at the high end bracket as well as an overall sluggish smartphone market. I am not a mobile industry executive and I am hardly an expert when it comes to sales of electronic products -- but I have been a tech blogger for ten years now and I've seen many startling things happen in this scene through all those years. Frankly, what's happening to Samsung now kind of reminds me of what Nokia and BlackBerry had experienced many years ago. The Finnish and Canadian Giants were at the top of the heap but all that changed after they got their first massive decline in their year-on-year handset sales. Looking at the table above - courtesy of International Data Corporation, I'd say that these are indeed worrying times for the Korean Tech Giant. 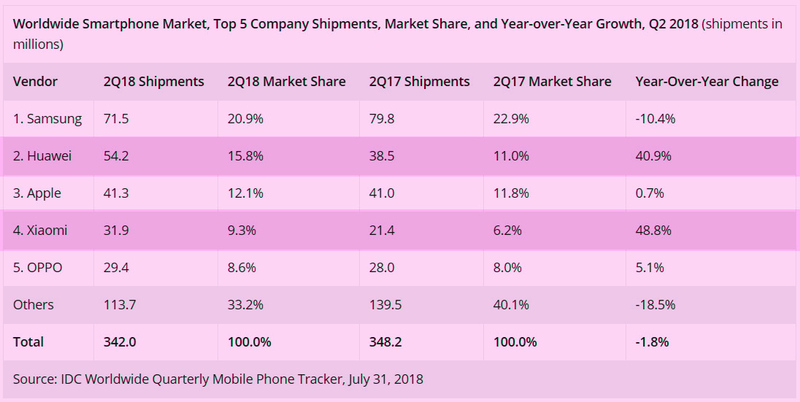 Its shipments diminished by a large margin all while its competitors - mainly Huawei and Xiaomi - posted more than 40% year on year growth in this department. Apple has perennially been the main competitor of Samsung at the high-end price bracket and the numbers that the Cupertino company got in Q2 2018 are largely the same as what it had in previous periods. Hence, it is clear that Samsung's decreasing figures is inversely related to the rise of Chinese smartphone brands in the list. IDC says that the success of Huawei can be attributed to the strong demand for its P20 and P20 Pro flagship smartphones while Xiaomi's success is linked to the fact that it has beaten Samsung in India, which is a massive market for midrange handsets. Given these information, how can Samsung turn things around moving forward and continue to win against these rising mobile giants from mainland China? 1. Large Sensor for stellar low-light performance and 3X plus 5X Lossless Zoom capability are the main strengths of the Huawei P20 Pro, which became the main nemesis of Samsung Galaxy S9 in many markets including the Philippines. Although the S9 is still one of the best cameraphones out there, camera-shoot-outs with the P20 Pro that were posted by tech bloggers showed that the high-end Galaxy pales in comparison to Huawei's flagship in conditions with little ambient light. With this, I think consumers are waiting for Samsung to come up with a major breakthrough in terms of sensor technology and to put better telephoto capabilities in their handsets; Innovations that are surpass what's already in previous S-Series phones. 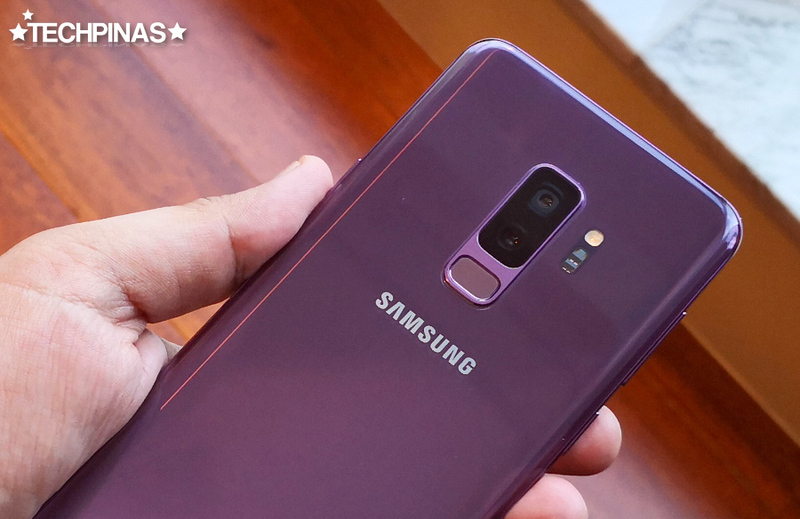 Perhaps the upcoming Samsung Galaxy Note9 will finally be the answer -- but until we see sample shots taken using its cameras, we won't know for sure if the model can indeed turn things around of the brand. 2. Instead of releasing just one strong model that can beat all others in the midrange category, Samsung is currently releasing so many mid-level handsets that aren't particularly superior in terms of specs when compared to similarly priced devices from leading Chinese manufacturers. Interestingly and in stark contrast, both OPPO and Vivo are now obviously practicing subtlety in releasing models in the PHP 15,000 to PHP 20,000 price echelon. In fact, in Q1 and Q2 2018, both brands only had the OPPO F7 and Vivo V9 models in the said bracket -- and those two performed really well in the market. In the midrange category, Samsung might want to employ the classic 'Quality Over Quantity' strategy -- especially in the face of terrifying competitors that are doing their best to take it down. 3. While its clear that the Galaxy S-Series is the Korean Giant's flagship level line, the price positioning of J-Series and A-Series is proving to be confusing among consumers. I mean, there are J-Series models that are priced below PHP 10,000 and there are those that are priced beyond PHP 20,000, well into A-Series' supposed territory. Heck, there's even an A-Series model that's priced at around PHP 17,000, which is similar to the SRP of some J-Series models. It's either Samsung revises its product nomenclature or naming system in the low-end and midrange categories or the company launches a campaign to educate consumers again about the exact identity of its current Galaxy lines. There you have it. Humbly, those are my tips for Samsung for now. I am sure there are other aspects and departments that Samsung can look into for further improving its market performance, including effectively tapping bloggers and online influencers for campaigns (like what OPPO, Huawei, and Xiaomi are currently doing here in the Philippines) and coming up with more enticing trade promos vis-a-vis what the competitors are offering -- but needless to say, marketing experts are better suited to talk about those. I can only share from my perspective. How about you? As a mobile consumer or Samsung fan, how do you think the Korean Giant can win against its new set of powerful competitors from China? Let me know your thoughts by posting them in the comments section below or by messaging me on Facebook, Twitter, or Instagram. I'll be waiting. Cheers!